During the colonial era Africans were taught that blackness was without value and only “white” signiﬁed quality. This was just as true for the products made by the whites. What the whites said was always right. The subjugation of black consciousness was complete when the colonial rulers imported a “white Jesus” along with their religion. All over the world, people believe in a God who is a reﬂection of themselves. The Indians have their Buddha and the Europeans their Jesus, both in the image of themselves. But black people have only a “white god” and no “black god”. If God is white, what is the colour of the devil? This colonial brainwashing is so embedded in the minds of many black people that it still hinders their own eﬀorts at self-development. It should also not be forgotten that black soldiers during the colonial era were often responsible for the brutal punishment of other black people. “Blackness” signiﬁed evil and mistrust, while “whiteness” signiﬁed the good and the innocent. These factors destroyed the self-conﬁdence of many black people in the colonies and made them inadequate citizens. The resulting inferiority complexes will be passed on from generation to generation. As a consequence of these factors, the idea of “development assistance” has struck these countries like a bomb. The peoples of Africa were led to a dependency that continues to this day. Those who do not value themselves and do not perceive their abilities unconsciously transfer their responsibilities to others. What are the eﬀects of the colonial heritage? Intra-African economic cooperation is slight. Many African countries trade almost exclusively with Europe and other countries beyond the continent. Goods and products from African countries are considered inferior by some Africans and their own products are consumed less, regardless of quality. The sense that everything from the “whites” is of higher quality and is to be regarded as a status symbol is widespread among the educated classes. How can countries establish their own value chains if “Made in Africa” is not socially acceptable? In contrast to the colonised African countries, the behaviour of citizens in countries like Ethiopia, where there was no colonisation, is markedly diﬀerent. The Ethiopians have a national pride and a healthy self-conﬁdence regarding their origin, their cultures and their traditions. In some countries with a mix of ethnicities, it is common for the ruling class to severely discriminate against other ethnic groups and deny them access to national resources. There is little investment in infrastructure, health care or basic services in regions home to other ethnic groups and people are purposely impoverished. This lack of empathy towards people of other ethnicities is a signiﬁcant problem in some African countries. Tribalism and nepotism prevent development. Some countries have decision makers who are incompetent, holding responsible positions in state administration and enterprises only due to their ethnicity. This results in a lack of service quality and, in the worst case, bankruptcy of businesses at the expense of the general public. If political parties are based on ethnicity rather than on political agendas and good governance, the result can only be dissatisfaction in society. Why is ethnicity such a problem in Africa? The discrimination that some Africans experience in their own countries is often worse than the discrimination they face in Western countries. If someone is unemployed only due to their ethnicity, it leads to weak and incompetent institutions. Competent individuals cannot engage in productive activities and countless opportunities are lost. However, if managed well, societal diversity can lead to inclusive and sustainable development. The best laws will not advance a country if they are respected neither by the ruling elites nor the population. Rule of law is the foundation of every wealthy society. The greatest challenge in many countries is the formation of an independent judicial system that holds not only the poor accountable, but also the powerful. Economic investment and development are possible only when there is security and political stability. 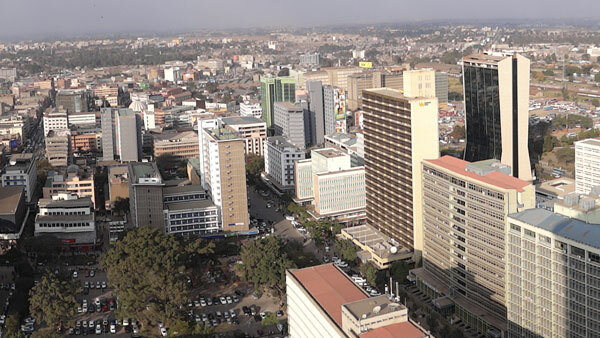 Africa does not need the G20 or a Marshall Plan to attract foreign investors. Governments need only do the right thing: create a fair tax system and reduce corruption through a transparent and eﬃcient bureaucracy. Veye Tatah is a computer scientist and Entrepreneur from Cameroon. Tatah is currently self-employed as a consultant and project manager specializing in political, cross-cultural and media-related themes. Of particular interest is the development policy in Africa. 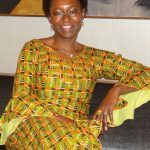 She is the founder of the Africa Positive organization and acts as the editor-in-chief of a magazine called AFRICA POSITIVE, which has been published in German-speaking countries since 1998. She received a couple of awards for her voluntary activities in promoting integration - Among others; in 2010 she received the Federal Cross of the Order of Merit of the Federal Republic of Germany. (www.veye-tatah.de). She is the Author of the Book “Afrika 3.0” published in May 2014 which tackles the negative Image of Africa in the West. Decolonize Africa – Throw Oﬀ Your Chains!